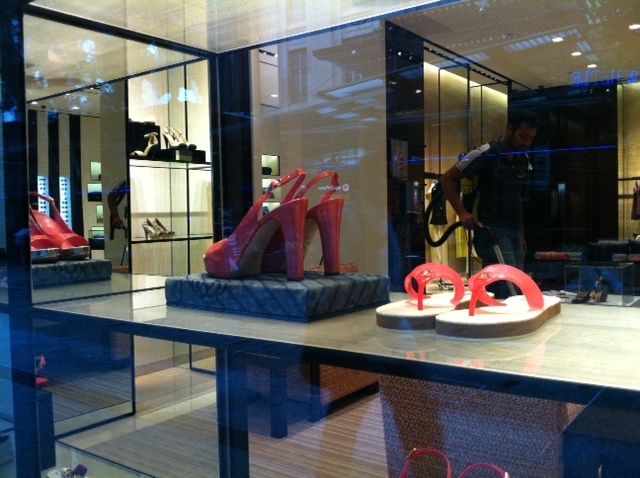 You know it’s been a wet year when high-end fashion houses start selling plastic shoes. These little VWs followed me home from Sydney (oops) and could be seen walking the streets of Brisbane today. Isn’t the Brisbane City street art gorgeous? Sandstone carved with an image of a traditional ‘Queenslander’. Gumboots, up close (in case you didn't believe me). Or, Chanel thongs? Translation: Expensive flip-flops (in case readers are looking for underwear. In Queensland, we call them 'thongs', whereas the undergarments are G-strings). Ahhhh…. Plastic shoes have come a long way. 20 years ago I was teaching in Bamaga where the humidity, wet season and lack of sealed roads made leather shoes die. Everyone wore jelly sandals and I soon joined the jelly brigade. I had an everyday pair that was just clear, but my “going out” pair had gold flecks through the plastic. Very glam….NOT! Now *these* babies would have been just the ticket (apart from having to walk down pot-holed, corrugated, muddy dirt roads, which might be a bit tricky in heels!). And I’m dying to know how much the Chanel gumboots are. Do nip in and peep at the price tag so we can all have a good laugh. 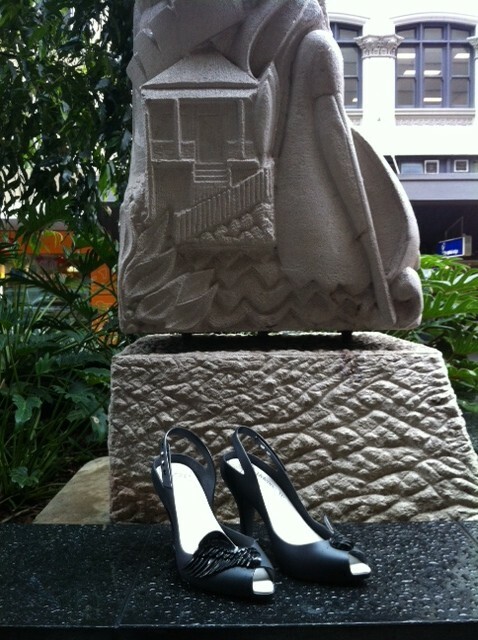 I might’ve suggested the wedges for Bamaga 😉 If my pride allows me, I’ll go in & pricecheck the gumboots for you…. Those plastic shoes are OK in the rain except that you slip inside the shoes when they are wet and they also cause blisters. They look good though. I agree. If they’re strapped on the slipping isn’t so much a problem as the blisters. Perhaps a nice pair of socks will fix that (50s coming back would be my defence hahaha). I am getting very tired of this wet weather, the ground is slush at our place, so wet the minute you walk on the grass you end up with mud flying. The bog is getting tedious, I agree. 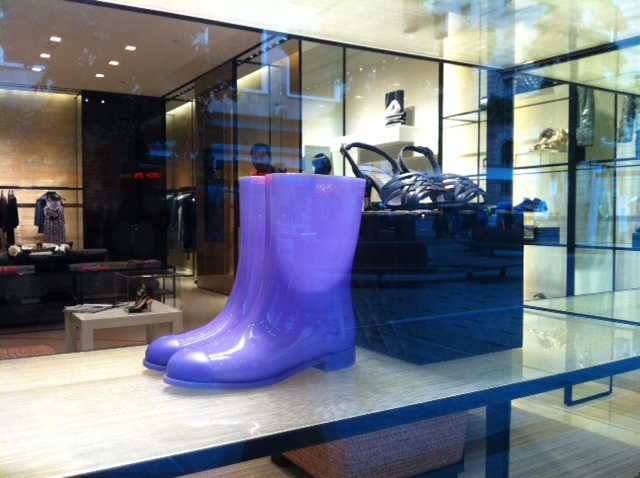 The gumboots, taken into the wild wouldn’t look any different to a cheap pair. I think they cater for yummy mummies at weekend kid sports. 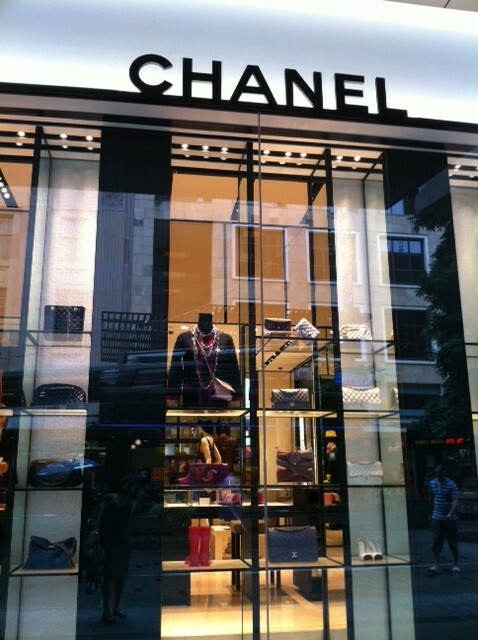 Still, I expected Chanel would do something more with the look of them…. Just pop into Tiffanies and get a nice clio or something to bling them up!